Comitan is an hour and a half away from San Cristobal de las Casas, much less visited but worth the trip. It’s easy to compare the two towns. Both are colonial, chill and pretty, but if you took out all the tourists and shops that cater to them, you’d have Comitan. I traveled there from Palenque, changing colectivos in Ocosingo. I walked through the little town, its zocalo and market to find the right colectivo departure. 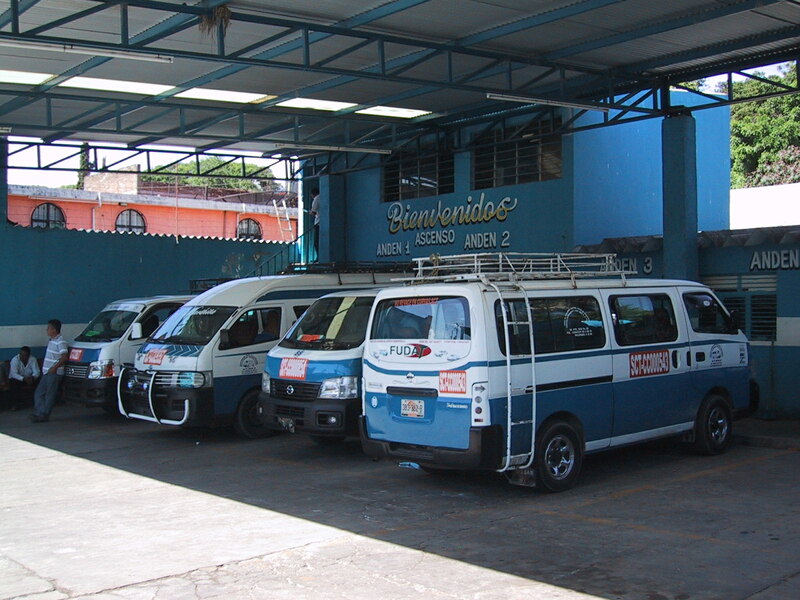 All throughout Chiapas there are colectivo (passenger van) stations scattered throughout each city, some cheap and some cheaper, which go everywhere. 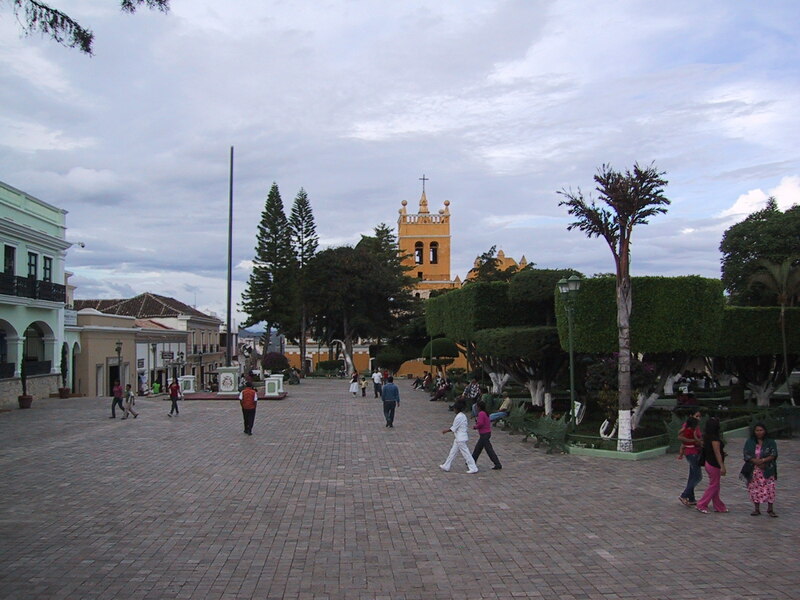 From Ocosingo my next colectivo change was in a small town in the mountains called Altimaro. Each ride was between 40 and 20 pesos. This was a very scenic trip through the mountains of Chiapas. I saw a lot of Zapatista graffiti and even billboards. 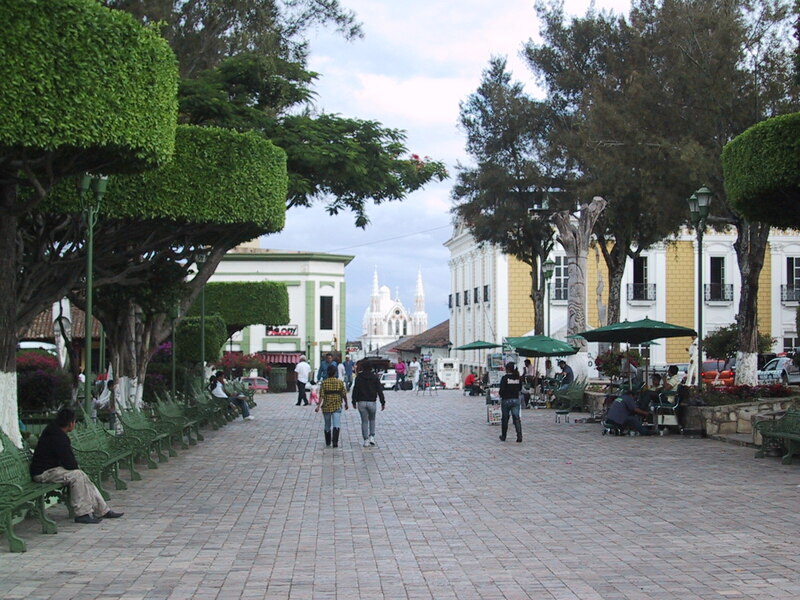 Like San Cristobal, Comitan is laid out in a grid with cobblestone streets branching out from the zocalo. The zocalo was full every warm night with people hanging out, playing music, and drinking coffee at several restaurants with outdoor seating. 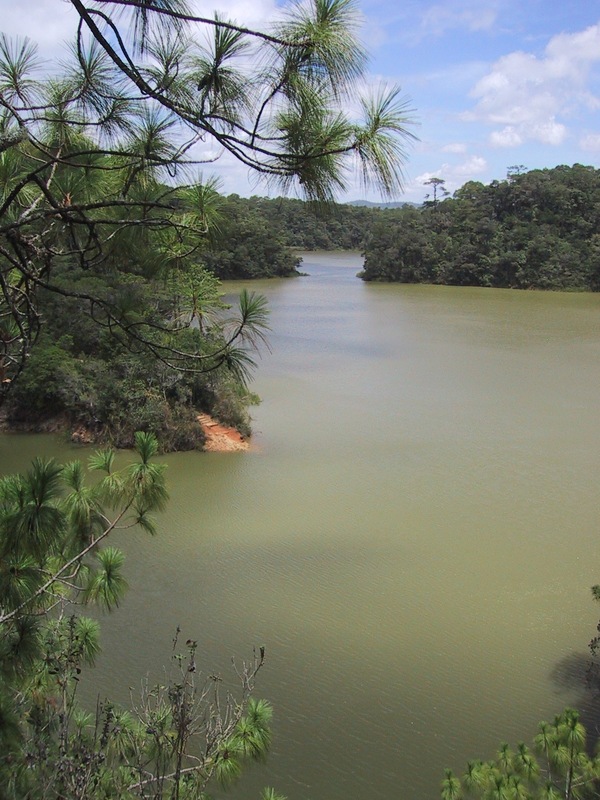 The big attraction around Comitan is the Lagunas de Montebello, a series of multicolored lakes in a mixed pine forest jungle. It’s a big national park with trails, rivers, caves, little food stands, and boat and horse rentals. 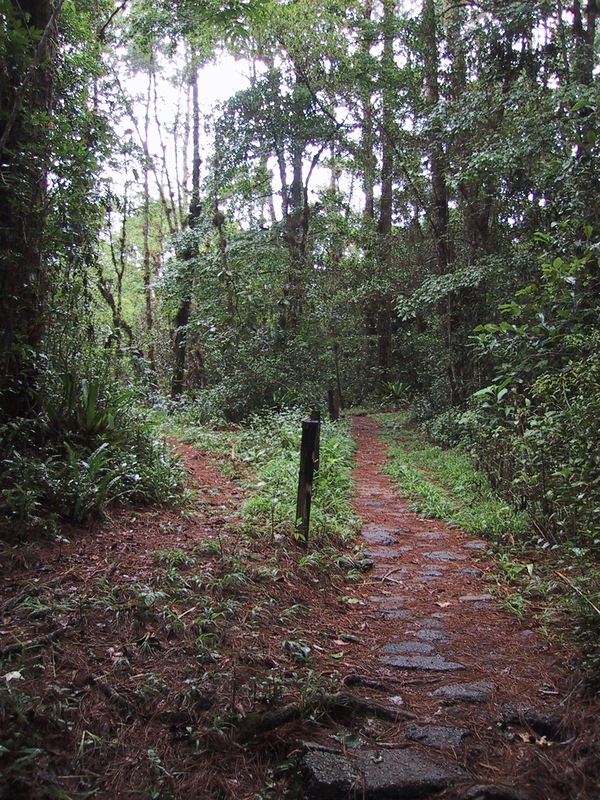 Getting to the lakes from Comitan is easy. There is a colectivo terminal a few blocks from the Zocalo – ask your hotel receptionist where it is – and the little vans leave frequently and drop you off inside the park. The place is huge. I got off at Laguna Ensueno, which is right across from another big lake. Each lake is a different color. Declining guides and boat rentals, I walked up the road in the opposite direction from Comitan. The road turned to dirt and I passed more vendors and people renting horses. Walk down the road until you reach a bridge over a small stream. People were fishing there. Before the bridge look right and you will see little wooden stairs built into the ground which rise up and into the forest. 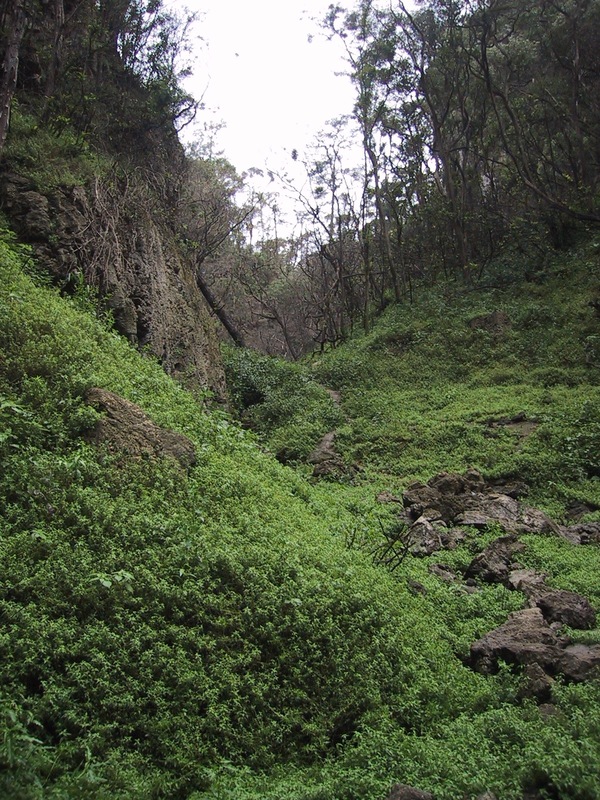 This trail will take you through the forest to further upstream, where there are caves and a little canyon. 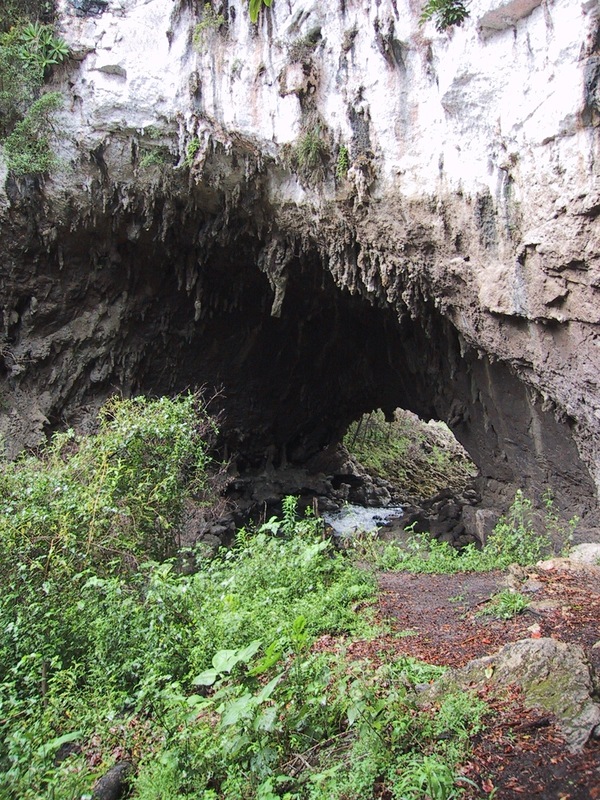 I think it may have been called “Grutas San Jose del Arco.” Finding this trail really made my day here worthwhile – I mean the lakes are beautiful but you can’t swim in them or anything. Beyond the caves the trail continued next to the stream. 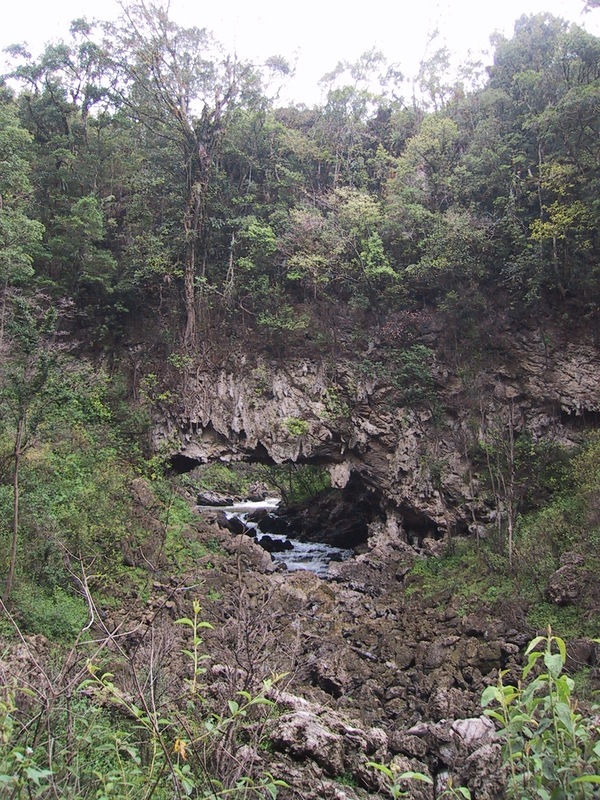 It passed a narrow part of the canyon where the water came right out of the ground. The other side was kind of a deep bowl in the mountains – really pretty. There are lots of guys offering tours around the lake and hiking trips, but if you ask directions and wander around you can do it all by yourself. Looking for more information about Chiapas? Please check out my guidebook Your Chiapas Adventure: San Cristobal de las Casas and Palenque, Mexico. You’ll save the small price the first time you follow my advice for transportation, hotels, restaurants, or museums. 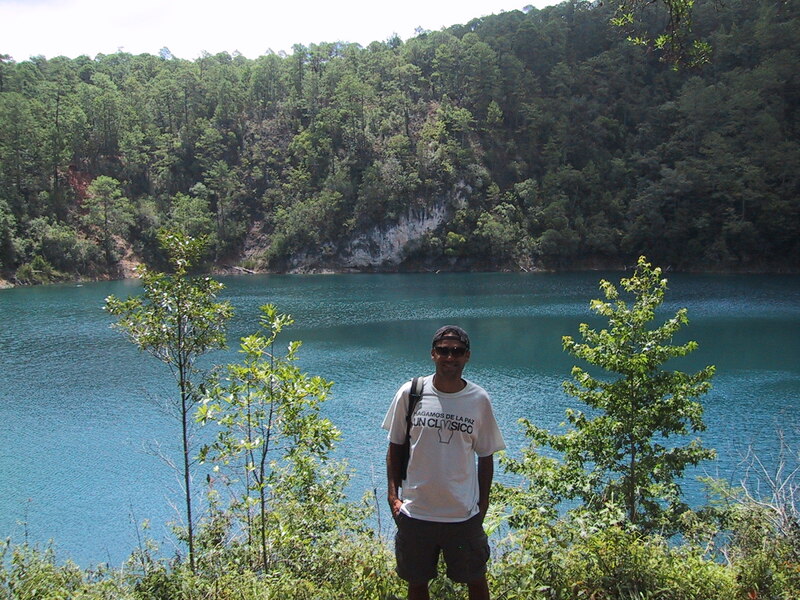 Posted on November 7, 2011, in Travel, Travel in Mexico and tagged chiapas, comitan, lagunas de montebello, ocosingo. Bookmark the permalink. 2 Comments.